If you are ready to send your website live or want to make sure you can continue to keep working on your site, please set up your monthly subscription below by providing your payment information. After you submit, you will be asked for your free trial website information so we can set up your live site account. If you are selecting the Enhanced or Elite Plans so we may help you build out your website, please make your selection below. You will be charged your Set Up fee for the Enhanced or Elite Plan separately than your Monthly Subscription Fee. *NOTE: If your Free Trial is still active, your live site account will not be interrupted. If your Free Trial expires, then it may take several hours for your live site account to be activated. Please provide your phone number so we may contact you for design details if needed. To see our Plans, click here. In placing your order for a Pro or Enhanced Website, you will only be charged an initial $97 fee to get started. The set up fee will then be charged separately once the order has been received. 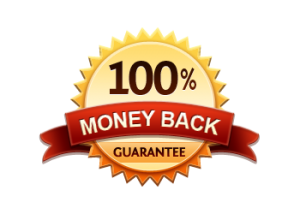 Upgrade your website account today, and if after 30 days you don’t honestly think that it is everything that we told you it would be and isn’t the right solution for you, simply ask for a refund, no questions asked. You get access to the premium web design tools that even top design firms are using today to build out $10,000 Website Projects. With in-depth video training and support, you can dive in to these tools right away and have “total control” of your online marketing Hub. Professional Designs and Layouts that will make you stand out from the crowd. Our 20+ years of expertise in online marketing backs these perfectly crafted WordPress layout themes. 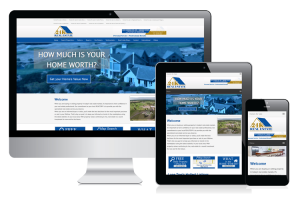 This is the future of real estate website technology. You will be proud to show this as the Hub of your company brand. No Coding Knowledge Needed. We have done all the techy stuff for you. So all you need to do is drop in your custom content and images to provide exactly the right message to your customers. Easy Drag and Drop Real-time Editor allows you to see your changes instantly. Save time and hassle by watching your edits happen before your eyes. Lead Generation Tools that convert visitors to leads to customers. Your website has landing pages, forms and email automation options that allow you to set it and forget it. This is a MUST in today’s competitive marketplace. Support and Training at Your Fingertips Right in your personal Dashboard, you have access to over 100 training videos that will walk you through every step to a beautiful website. If you can’t find the answer there, we are only a click away with our Quick-Submit Support Ticket System. You will not be on your own! A Step-by-Step Video Series is delivered by email each day that will show you the amazing possibilities for making your website become a Lead Generating and Marketing Machine!